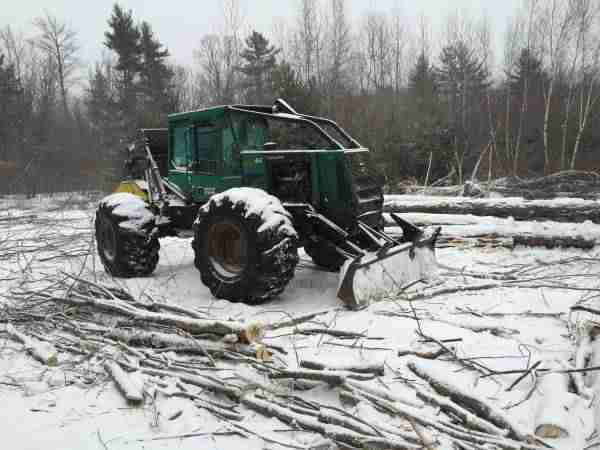 1999 Timberjack 460 D/A Grapple Skidder with Winch. This machine has a T/C Transmission, 15,000 total hours on a Cummins Engine, runs and starts good, tight center, cylinders good, has a few minor leaks, heat works, A/C does not, 30.5x32 tires,one @ 90%, three @ 25%. Contact Erik @ Red Pine Equipment 218-720-0933. Machine is located in Northeast USA.